← Is Turkey Just Copying the EU in Increasing Police Powers? “The main opposition Republican People’s Party (CHP) has lodged a statement of opposition to the 15 articles of the new homeland security bill, saying that the penalty given for brandishing a sling is higher than the penalty of gun possession. The CHP put its objection to the 15 articles of the bill into a statement on the grounds that they conflict with the constitution. Possessing a gun in a demonstration will have a penalty of one year in prison, with a possibility for this penalty to be turned into a fine. However, a person possessing a sling in a demonstration will be penalized with a more than two-year prison term, according to the bill. A total of 3,200 police chiefs will be forced to retire if the security bill is enforced, the CHP also underlined. 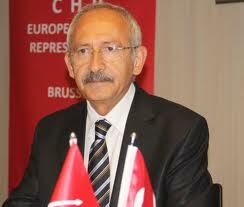 The CHP slammed the bill for “increasing the ministry’s and governor’s authority and transferring the judicial organs’ authority to them while also being a crackdown on freedom.” The main opposition also criticized the bill for giving security forces the authority to arrest people on the grounds that “they are risking other people’s lives,” and said this article will allow police forces to arrest even innocent people during demonstrations. “The term ‘protection of people’ is not included in our laws and this makes the period of this ‘protection’ vague in the bill,” said the CHP. “With this article, the police will be able to prevent people from entering any area under their protection. For instance, this protection will be used as an excuse to prevent a lawmaker from entering an area,” the CHP said. The CHP also criticized the article for giving prosecutors the authority to take “urgent decisions to expose a crime,” to their governors or local administrators. 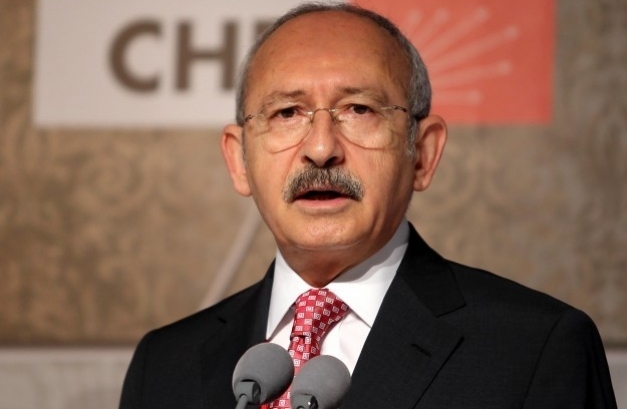 “This article will prevent the prosecution of the suspects who are close to the government and it will give local administrators and governors the powers that are given under emergency law,” said the CHP. Gallery | This entry was posted in Uncategorized and tagged chp, EU, police power, security bill, turkey. Bookmark the permalink.